The Department of Homeland Security in its Unified Fall Agenda released on Wednesday stated that abandoning the current practice of granting employment authorisation to H-4 dependent spouses would benefit some US workers. The Trump administration has decided to do away with the practise of granting work permits to H-4 visa holders. The move to end the Obama-era rule could have an impact on more than 70,000 H-4 visas holders, mostly Indians, who have work permits. However, it will benefit some US workers, the Department of Homeland Security believes. The Department of Homeland Security (DHS) in its Unified Fall Agenda released on Wednesday stated that abandoning the current practice of granting employment authorisation to H-4 dependent spouses would benefit some US workers. The DHS said the proposed rule would no longer allow H-4 workers to enter the labour market early and was on its way to stop them from getting work authorisation. In its agenda, the DHS said it could estimate and quantify two primary impacts of denying work permits to H-4 visa holders. Firstly, the cost-savings accruing to forgone future filings by certain H-4 dependent spouses, and secondly, labour turnover costs that employers of H-4 workers could incur when their employees' employment authorisations are terminated. "Some US workers would benefit from this proposed rule by having a better chance at obtaining jobs that some of the population of the H-4 workers currently hold, as the proposed rule would no longer allow H-4 workers to enter the labour market early," it said. The H-4 visas are given to immediate family members of H-1B visa holders, which include spouses and children below 21 years of age. Work permits for H-4 visa holders were issued under a special order by the previous Obama administration in 2015. As of December 25, 2017, US Citizenship and Immigration Services (USCIS) had approved 126,853 applications for employment authorisation for H-4 visa holders. These count all approvals since May 2015 when the rule was implemented. This number includes 90,946 initial approvals, 35,219 renewals, and 688 replacements for lost cards. The Trump administration is also planning to "revise" the definition of employment and specialty occupations under the H-1B visas as USSCIS plans to introduce its new proposal by January next year. Such a move, which is part of the Unified Fall Agenda of the Trump administration, will adversely impact the functioning of Indian IT companies in the US and also small and medium-sized contractual companies in the IT sector, which are mostly owned by Indian-Americans. It will "propose to revise the definition of specialty occupation" to increase focus on obtaining the best and the brightest foreign nationals via the H-1B programme. It will also "revise the definition" of employment and employer-employee relationship to "better protect" US workers and wages, the DHS said. In addition, the DHS will propose additional requirements designed to ensure employers pay appropriate wages to H-1B visa holders, the administration said. The H-1B visa, most sought-after among Indian IT professionals, is a non-immigrant visa that allows US companies to employ foreign workers in speciality occupations that require theoretical or technical expertise. The technology firms depend on it to hire tens of thousands of employees each year from countries like India and China. The H1-B visa has an annual numerical limit cap of 65,000 visas each fiscal year as mandated by the Congress. The first 20,000 petitions filed on behalf of beneficiaries with a US master's degree or higher are exempt from the cap. The DHS said it was also finalising its interim regulation governing petitions filed on behalf of alien workers subject to the annual numerical limitations applicable to the H-1B non-immigrant classification. This rule prohibits an applicant from filing duplicate petitions on behalf of the same alien temporary worker. It also makes accommodations for petitioners to create a more efficient filing process for H-1B petitions subject to the annual numerical limitation. 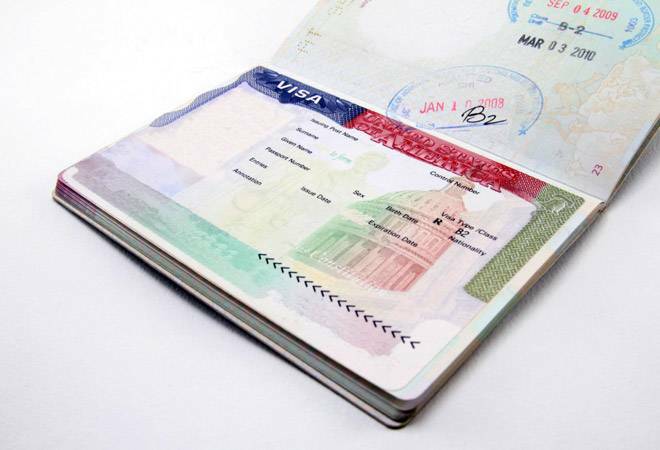 Observing that the demand for H-1B visas has often exceeded the numerical limitation, the DHS said it was proposing to establish an electronic registration programme for such applications. Such a system will allow USCIS to more efficiently manage the intake and lottery process for H-1B applications.